Most moments come and go, but some rise above the rest to become memories that stay with you. When you explore the Canadian Rocky Mountains by luxury rail, your journey will be full of moments like these. From the touches of impeccable service provided by our Hosts to the awe-inspiring vistas, Rocky Mountaineer will delight you. 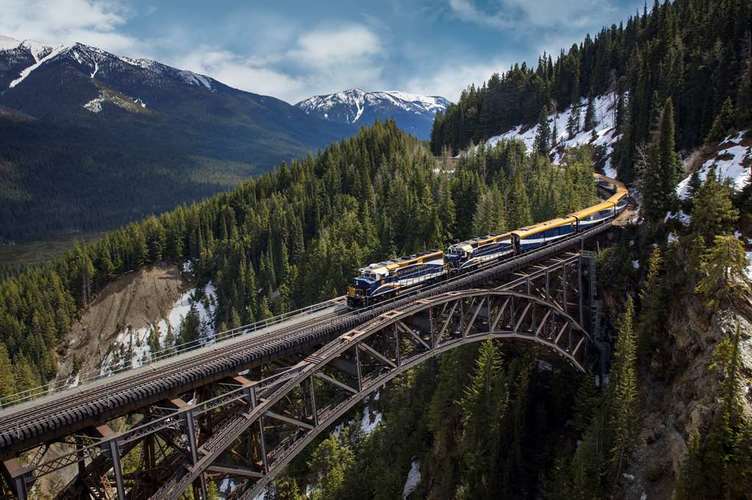 Until June 28, 2019 book a qualifying 2019 Rocky Mountaineer package of 5 days or more and receive a FREE hotel night in Seattle, Vancouver, or Calgary. Make your journey through the Canadian Rocky Mountains even more unforgettable with a complimentary night’s stay in one of these world-class cities! Valid for Travel 15 Apr 2019 – 15 Oct 2019. Click here for a video with Rocky Mountaineer!